Welcome to the Federal University of Technology, Owerri, FUTO Online e-Brochure: This tends to serve as a helping guide to all candidates who wish to secure admission into the Federal University of Technology, Owerri, FUTO. 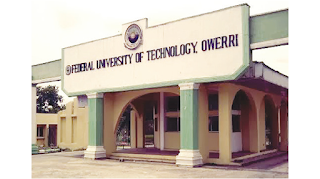 The Federal University of Technology, Owerri, FUTO Online e-Brochure contains the Full List of Programmes, Requirements, Subjects Combinations offered by the institution for both Direct Entry and UTME Candidates. Interested applicants who which to apply into the Federal University of Technology, Owerri can check the correct and current Admission Requirements, Subjects Combinations via the JAMB Interactive Brochure and Syllabus System (JAMB IBASS) by clicking here.